I feel the same way about New Year’s Resolutions as I do about bucket lists and a lot of country music. Fine in practice, great for other people, not something I tend to have the boots for. But one thing I am going to ramp up in the New Year is talking about podcasting. It’s a good chunk of my day job, it’s a small community that’s mostly very positive and it’s crammed full of brilliant work. So first off, do me a favor and go follow Ely and Wil Williams on twitter. They are, hands down, the two best podcast journalists in the Western world right now. I learn something every time I read their work and I cannot recommend them highlight enough. I found through them. It’s a true crime podcast about a crime that never happened, the disappearance and apparent murder of starlet Julie Capsom in 2007. Bea Casely (Michelle Agresti) was the first journalist to break the story. Brenda Bentley (Tracy Sayed) was one of the first cops on the scene. Ten years later, with the case still open, the two women are drawn together to produce a podcast about it by the gloriously enthusiastic Andy Wheyface (Ben Watts) the billionaire everythingist who finances Brenda’s detective agency, Arden. This is a show that’s clever on three different levels. As a parody and paragon of the true crime investigative podcast it’s just flat out astonishing. 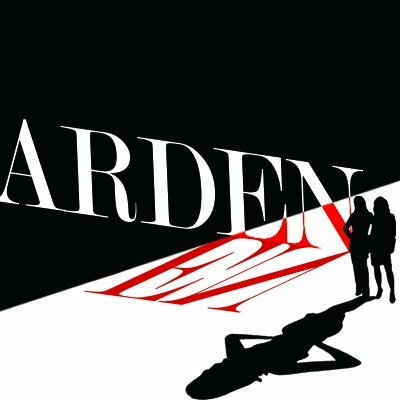 As the season goes on, Arden walks around its premise from every angle and uses the multiple conflicting theories as a way of giving the case at its heart a sense of reality and veracity. This is a deeply disturbing, untidy case. A knot that’s seemingly impossible to untie and looks even worse from different angles. It’s either podcast gold or podcast dirt and the dice roll that Bea and Brenda make with their careers gives the show an edge that also serves as connective tissue between the case and the comedy. Because very little you’ll hear in the podcast space this year will be as funny as Arden. Agresti and Sayed have note-perfect comic timing that’s somewhere between Moonlighting and The Thin Man. They bicker constantly, but it always plays as unplanned and spontaneous, two brilliant and very different brains trying to share the same space while still fighting their corner. That leads to some remarkably nuanced writing and grace notes as the show continues which changes the scope of their relationship three times, each time feeling earned and real. This is a fantastic cast working with fantastic material and the show becomes more confident and daring because of that as it goes on. A standout episode is set entirely on a flight to the next lead and includes Brenda spending the entire flight in the bathroom, a war/conversation with the show’s editors and a major gear change in the investigation. All of which is somehow perfectly moved along by frequent interruptions from Andy Wheyface. While the core show itself is dark when needed, Wheyface’s adverts and the two leads’ increasingly horrified reactions to them are the sort of just this side of plausible/just that side of criminal ideas that made Better Off Ted‘s Veridian Dynamics so much fun. But what really makes Arden work is how much it surprises you. There are two episodes in this season unlike anything I’ve heard before and a running literary gag that’s either so subtle you miss it for weeks or so obvious you’re amazed that people have missed it. It’s a deep dive into the mindset of journalists and cops, an examination of institutionalized corruption, a story about a billionaire who wants to commodotize marmosets and a romance. Endless tone shifts are carried off with ease and the season ending is a note-perfect landing. If there’s more, and I know they want to make a second season,there are places to go. If not, this is the best sign off I’ve seen since #sixseasonsandamovie. Arden Season 1 is out now on all good podcatchers and probably those weird and spiky ones that people whittle out of Unix code.